Whenever we attend a trade fair with the colorbooks of Jaq Jaq Bird, we are used to the turning heads of retailers, parents and buyers. Because, we can admit that going to a trade fair with Jaq Jaq Bird is not hard. Its cheerful design is an eyecatcher. And that’s just what the European Product Design Awards say! A few weeks ago we got the news that Jaq Jaq Bird would get an award from the Farmani Group, the prestigious organizer of different prizes in the field of design, photography and creativity. Jaq Jaq Bird deserves attention, according to the organization, for the efforts of their talented designers who with practical, intelligent creations improve our everyday life. You understand, we were super excited and celebrated this together with the team of Jaq Jaq Bird until the wee hours. We already look forward to the upcoming trade fairs in Germany, which we will attend this fall. This award helps Stoqk International to show people why Jaq Jaq Bird is an absolute winner for schools, musea and every modern family. The colorbooks are the very best of their kind. Designed to make a fantasy a bit more real. Research shows that children learn to focus better and improve their self confidence, when they color often. Coloring is the way. Jaq Jaq Bird helps to develop, to learn, to play, to create, to smile and to built. 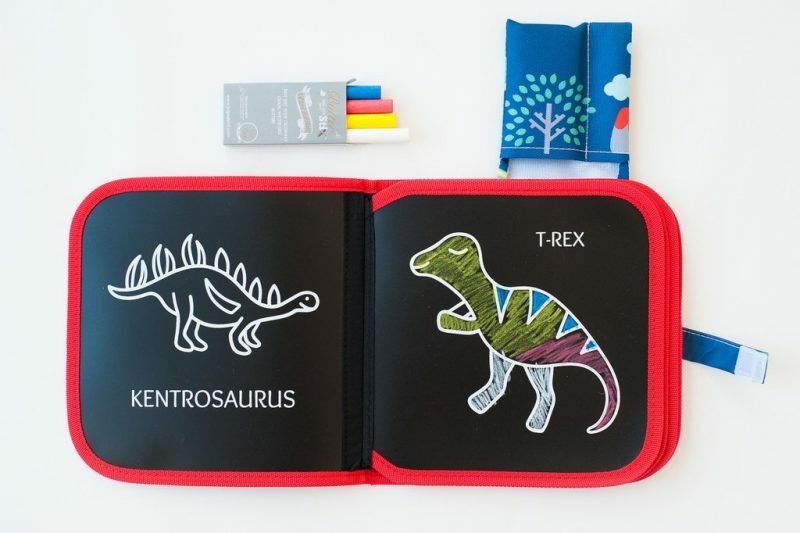 Moreover, the colorbooks are full of educational, timeless and cool prints that introduce kids to different interesting themes. Parents can use these themes to tell stories of little facts. What do you know about dinosaurs, for example? And about centaurs or Leonardo Da Vinci? Kids will learn it in no time. Grace, the owner of this beautiful brand, got inspired by the endless amount of paper her daughter’s used to draw. Every day her little girl colored and even threw away draws that weren’t good enough. Therefore Grace figured out a way to safe paper: the first resuable colorbooks by Jaq Jaq Bird. So, this brand does not only stimulate creativity, focus and self confidence, but also keeps an eye on the environment: zero waste! Discover more about Jaq Jaq Bird or read the reviews of our customers. Jaq Jaq Bird is sold in the Netherlands, Belgium and Germany by Stoqk International. 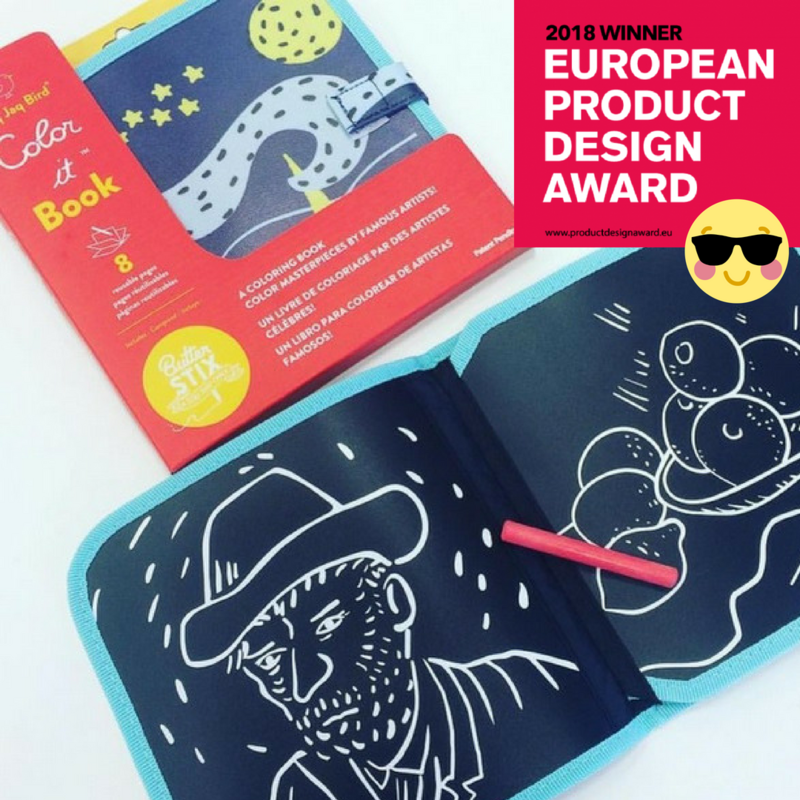 * = In 2017 Jaq Jaq Bird won the Good Toy Guide Accreditation for best and most innovative colorbook, by the British organisation Fundamentally Children, an independent group of experts who evaluate and promote valuable and stimulating children’s toys.